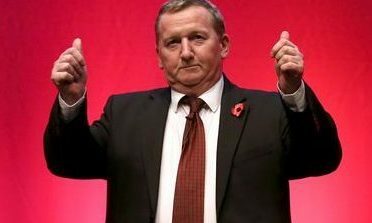 Mid Scotland and Fife MSP Mr Rowley quit as the party’s deputy leader last December as a harassment probe was dropped. The woman who raised the allegation criticised Mr Leonard’s decision to bring Mr Rowley, 54, back to the front line and his assertion that the case was thrown out because of a “a failure to engage in the process” on her part. Mr Rowley has been made Labour’s local government spokesman. The woman, 40, told The Courier: “It doesn’t send out a very good message at all. I am disgusted. An investigation by the UK Labour Party into the woman’s claims was dropped as she refused to allow Mr Rowley to see the details of her claims, which included stalking allegations. Mr Rowley – who had the whip withdrawn from the Labour group at Holyrood pending the outcome of the investigation – denied the allegations, which included claims he had sent abusive text messages to his former partner, who is also from Fife, and he referred himself to the Labour party’s internal complaints process. He did not respond when called for comment. Asked why he had reappointed Mr Rowley, Mr Leonard told ITV Border: “The case against Alex was never prosecuted because there was a failure to engage in the process by the person who made the complaint so the case was discharged. “Alex is back because he is somebody who has got an extremely high reputation amongst people in local government. The woman who made the complaint, a former partner of Mr Rowley’s, said she was “hurt” after hearing Mr Leonard’s comments. She said: “I’ve always thought Richard Leonard was a pretty decent man but to say the case was never prosecuted – to me that’s like a red rag to a bull. The woman, aged 40, added: “I feel like the blame is being put on me. “You can see why people decide not to come forward with complaints. It’s classic victim blaming. “They make you feel demeaned, grubby and worthless. “People seem to think I didn’t cooperate with the Labour ‘investigation’, but I did. “The party in London asked me to submit a complaint so I did. Mr Rowley’s was promoted in a reshuffle that saw Anas Sarwar claim he found out he had been removed from his health post through Twitter and former economy spokeswoman Jackie Baillie sacked over the phone. Scottish Labour Women’s Movement has said it is “satisfied that Scottish Labour made all reasonable endeavours to determine the facts and no further action was required” in the case against Mr Rowley.